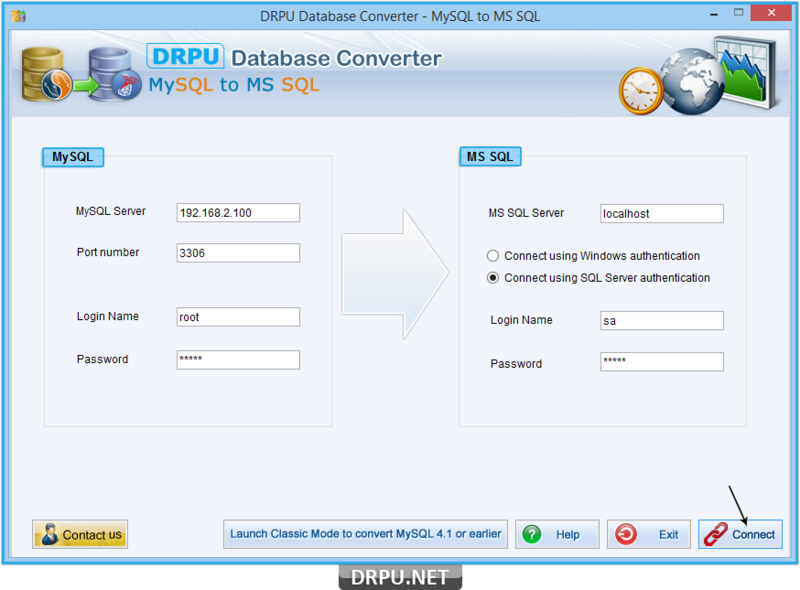 MySQL to MS SQL database converter utility provides simple methods to converts existing MySQL db records into MS SQL database records without affecting the originality of the existing database and maintaining the database integrity at the time of converting records. Software has capability to works with all latest MySQL servers and also has an option to convert 4.1 or earlier version of MySQl server. Database converter tool converts queries, foreign keys, views, indexes and support all major data types and attributes. Software provides Easy-to-use wizard-style so that you can convert files exactly the way you want it with highly interactive graphical interface. Establish connection between MS SQL to MySQL server using SQL server authentication. ◆ Provide easy, fast and accurate database conversion from one format to another in which the user can choose either a particular selected table or whole database for conversion. ◆ Convert selected table or complete database records of MySQL to MSSQL in few minutes with the full support of table constraints, primary keys, data types and attributes. 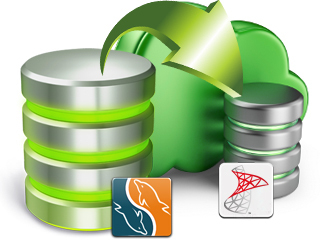 ◆ Provide loss less database conversion which means no loss of any kind of data while converting the database. ◆ Facilitate user by providing the facility of saving the converted database at new location or specified location. ◆ Provide GUI wizard for easy handling and understanding of the software utility that even a layman can easily understand the software without any technical help. ◆ Step-by-step user manual is provided along with the tool for user’s guidance and support.